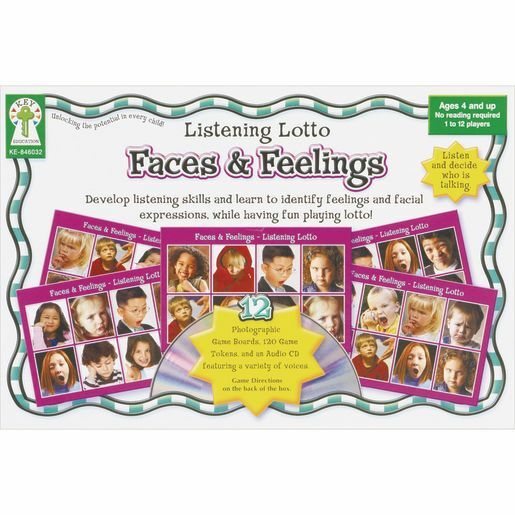 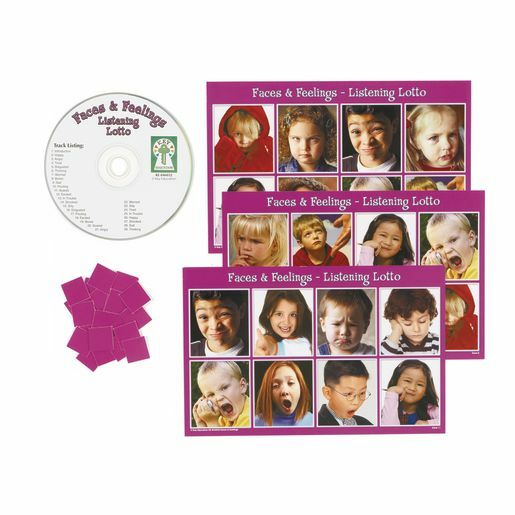 Children can develop listening skills while learning to identify feelings, facial expressions and community friends! 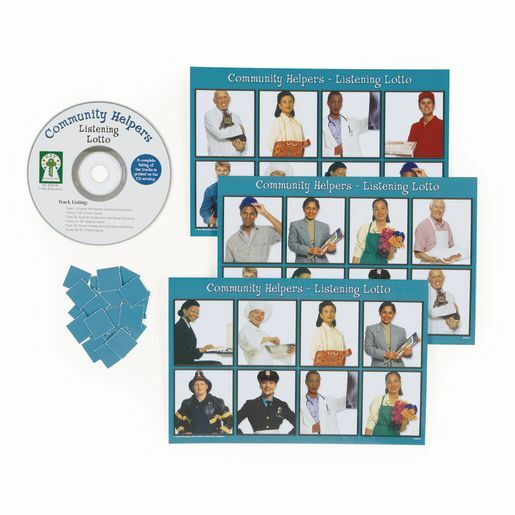 Fun lotto games each include: 12 photographic game boards, 120 game tokens and audio CD with directions (#COMHELP has directions in English, Spanish, and French). 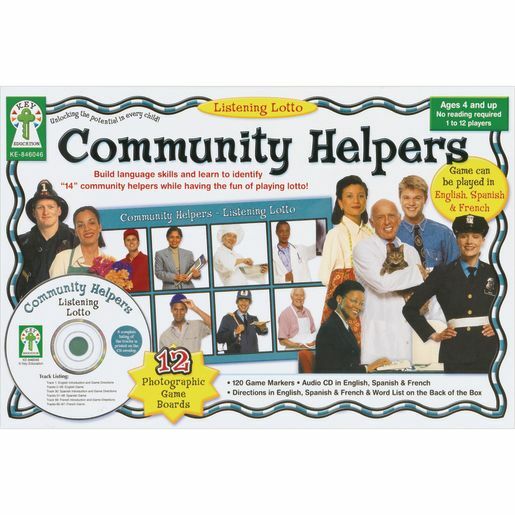 No reading required.